All matter is made of up particles, these particles behave in different ways whether they are solid, liquid or gas. Particles in solids are held together very closely. The particles don’t move around very much but simply vibrate in their spot. Particles in liquids are quite close to each other, however they can move past each other very easily. 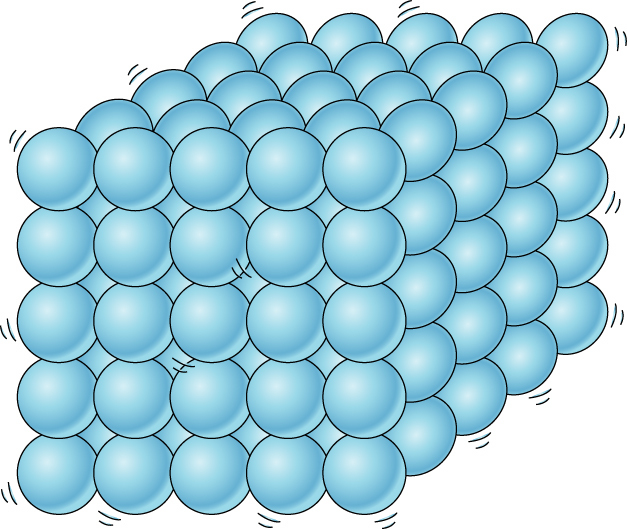 The particles in liquids move around quite a bit, bumping gently past each other. Particles in gases move around very quickly with a lot of space between them, this means you can compress them very easily.